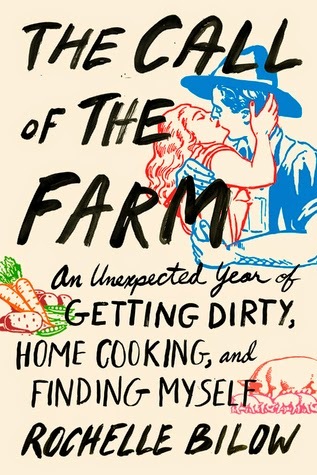 A spirited memoir of farming and cooking, love and self-discovery, by a rising-star food writer. It began as a simple assignment: Profile a small “full-diet” farm in central New York. At most, food writer Rochelle Bilow expected to come away with a cute city-girl-in-the-country piece. But just one day on the farm gives Bilow so many reasons to stay—the creamy taste of raw milk, the back-breaking satisfaction of stacking hay bales, and the irresistible charm of a certain freckled farmer—that she simply can’t leave. The Call of the Farm recalls Bilow’s four seasons on the farm, where she learns to care for livestock, grow vegetables, and, as the designated cook, prepare the farmhands’ communal meals—almost exclusively from their own produce. But it’s not just an agricultural love story, as Bilow sensitively portrays the arc of her passionate romance with that freckled farmer—one that burns perhaps all too brightly (and all too fast). Honest, self-aware, and wonderfully tender, The Call of the Farm will speak to anyone who, while opening their CSA box or browsing a farmers’ market, has paused to daydream about farm life—and anyone who has fallen too deeply in love.